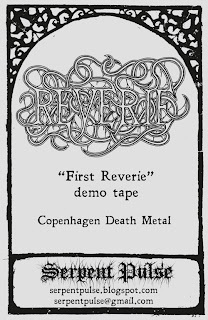 REVERIE "First Reverie" MC OUT NOW! 4 tracks of in your face Copenhagen Death Metal aggression. Pro printed tapes. Limited edition! Look out for REVERIE @ the Kill Town Death Fest in August! 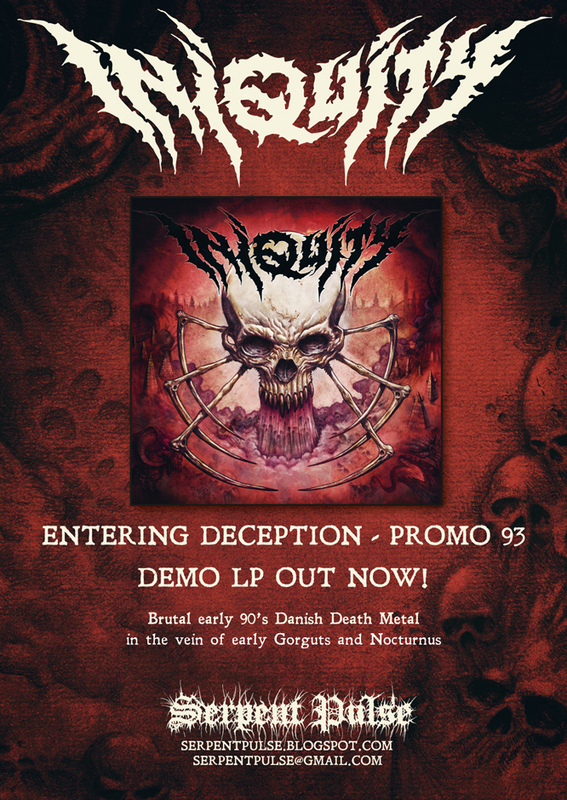 INIQUITY "Entering Deception / Promo 93" LP OUT NOW! 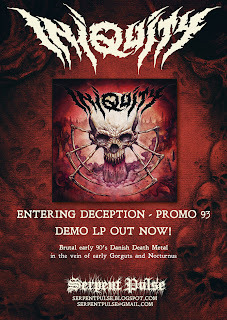 INIQUITY "Entering deception / Promo 93" LP in our hands. This LP compiles 2 tape releases, the very beginning of one of the most noteworthy Danish Death Metal bands of the early to mid 90ies. 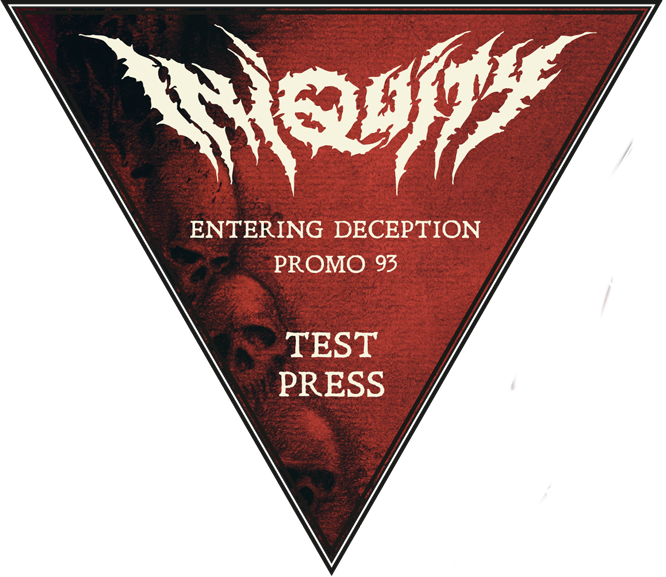 The A side features the 1992 demo "Entering deception" with one of the early line ups. This is raw murky Death Metal with hints of (death)thrash. Along the lines of Massacra or early Bolt Thrower. The B side features the promo from 1993 with the line up that would go on to record the "Serenadium" full length, adding keyboard for extra gloomy atmosphere. This is some brutal and technical DM and should appeal to fans of early Gorguts and Nocturnus etc. Both tapes have been carefully mastered to vinyl by Jeppe Hasseriis. - reworking the initial idea for the promo tape. 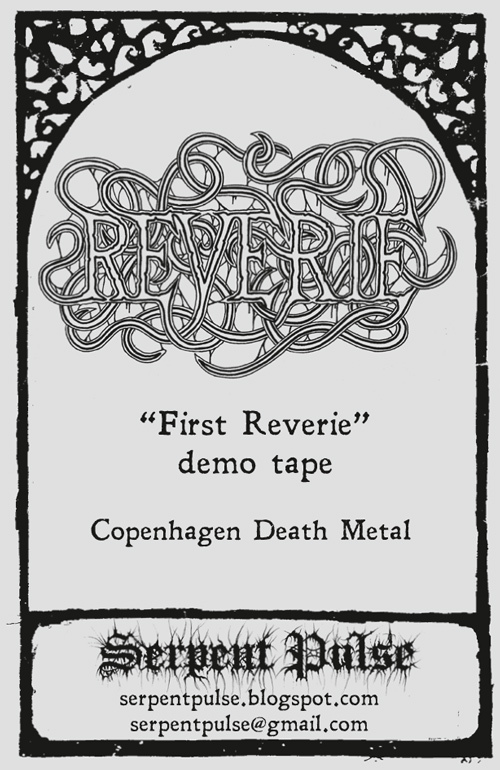 The REVERIE "First Reverie" demo has been sent to press and should be here by mid May. For fans of early Morbid Angel/Necrovore etc. The test press for the INIQUITY "Entering Deception / Promo 93" LP has been approved and should be with us within the next few weeks. 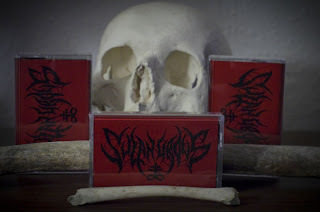 SULPHUROUS "Demo XII" out now! 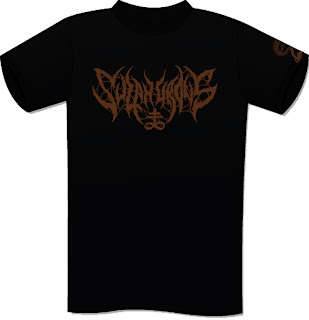 Dark Copenhagen Death Metal inspired by classic US bands such as Incantation, Deicide and Morbid Angel. 2 track demonstration of what's to come. Pro-tape edition of 200 copies. Available again this time on grey wax. Replacement covers/inner sleeves for the crushed copies of the initial pressing has also arrived - specify what colour you want. A few copies of the limited purple wax are also still available due to non payers....first come first serve! - Limited trades are still possible.